All cheekiness aside, during the early-mid 80’s, Airstream manufactured probably the most macabre product in the Airstream line up — The Airstream Funeral Coach. You read that correctly, a funeral coach. This RV was manufactured for and targeted funeral homes on the premise that it was money saving and more efficient. While in theory and probably even factually made sense as a more cost effective means of travel during a funeral procession, these were not big sellers. Only about 80 funeral coaches were manufactured before they called it quits. 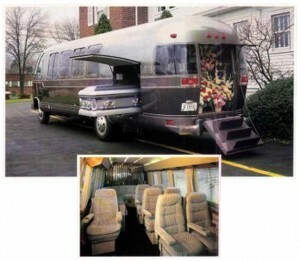 The Airstream Funeral Coach replaced 2 limousines, a hearse, and a flower car. It was built to carry up to 14 passengers, the casket in a seperate compartment, and held up to 20 flower baskets in yet another compartment. This, in fact, did reduce the need for 4 of the lead cars in a funeral procession and lessoned traffic issues. 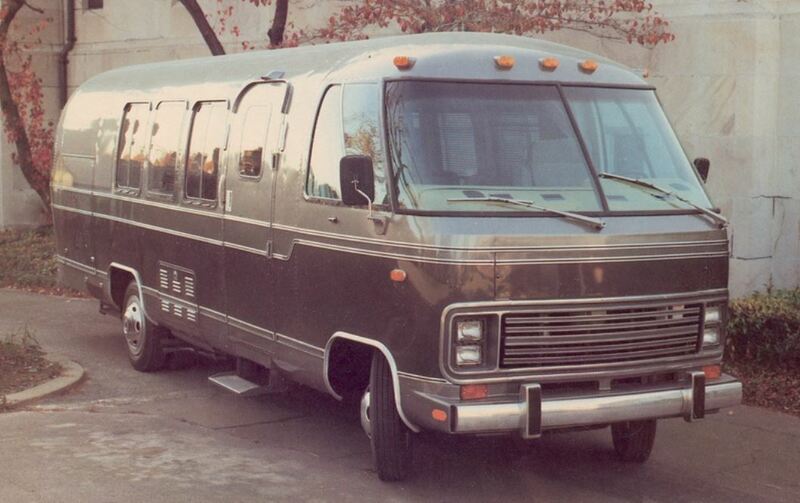 None-the-less, this Airstream did not fly off the assembly line. Another selling point for these coaches was the fact it could be utilized for other functions. Because the funeral coach did not look like a hearse, it was pushed as possible trasportation for sports teams, weddings, or civic functions. It could even been custom designed for whatever needs needed to be met. Who wouldn’t want to ride to their final resting place in an Airstream Funeral Coach? It seemed to be a wise investment but must have missed the mark on targeting the proper market. Of course now these funeral coaches are rare, highly sought after, and very collectible.